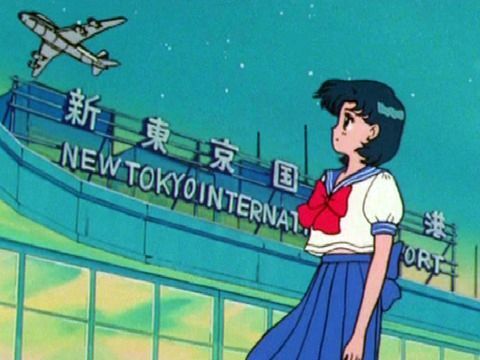 While there’s certainly nothing particularly notable in fiction about a main member of the cast (successfully or unsuccessfully) having to move away, Ami’s sudden announcement in the anime1 that she would be going to Germany of all places for her study abroad comes off as a bit random. Moreover, her reasoning – that she wants to be a doctor like her mother – seems completely unrelated. But what’s interesting about this is that while Ami’s sudden desire to go to Deutschland may seem completely random to Sailor Moon fans in the west, it actually made a lot of sense, and even seemed natural, to Japanese fans. First, a little background on what is strange about Ami going to Germany. In Japan, every student is required to study English for at least three years in junior high school, though most will study for six, with an additional three years in high school (though high school is not included in compulsory education in Japan).2 Though much can be said about the quality of English education in Japan,3 high scores (on tests, at least) are still seen as important by – and are even required for entering – some of the biggest companies and universities in Japan. With that in mind, why would someone as scholastically focused as Ami choose to go to Germany and not an English-speaking country? Time to get down to studying! Now why would they do that? Well, the reason is two fold. First, many of the Japanese words for medical ailments and conditions involve uncommon kanji and, when the word has been borrowed, it would make more sense to write the foreign word rather than a string of katakana to spell it phonetically. Second, it was written in German to keep the patient from reading their own records. Actively trying to keep a patient from reading their own medical records may sound like lunacy (or even malpractice!) from a 21st century, western point of view, but Japanese media is rife with scenes of a relative dying of some grave illness and only the family being told of how much longer the patient has to live. Informed consent5 wasn’t even required under any Japanese laws until the Medical Care Act6 was revised to include it in 1997. By writing the records in German, it was nearly guaranteed that the patient wouldn’t understand their own prognosis without the doctor to explain. Though this tradition has mostly gone by the wayside now thanks to electronic records and hospitals generally informing patients of their own medical conditions, in 1993 when this episode aired, that would definitely have still been the case, and thus it would have only been natural that Ami would want to get a head start on studying German so that she could follow in her mother’s footsteps as a doctor. Though obviously the anime wouldn’t have dared to get rid of Ami (especially considering her popularity), I still would have loved to see her away from the team for a few episodes, or even show her experiencing Germany before coming back. 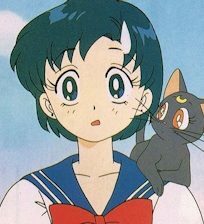 There is one question that’s always bothered me, though: when Ami ultimately does become a doctor, what kind of doctor would she be? ← What is Sailor Jupiter’s True Element – Lightning or Wood? Considering her genius and the influence of her friends, I expect Ami to be either a researcher or (less likely) a doctor at some important hospital. 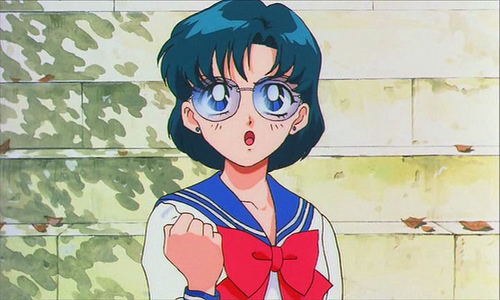 In the latter case, the first rich criminal who tries to escape arrest by feigning a dire illness with the primary’s complicity will find himself on his feet in Minako’s presence in the presence of a dozen journalists and the police the same way it happened in a similar case in the manga “Rash”. Possibly after she asked herself “What would Minako do?” after more logical methods came up short. For some reason, even though I can totally see Ami becoming a doctor (and she even did in the parallel worlds manga), I have a really hard time picturing her in my mind doing doctor-ly stuff, like seeing patients. With her intelligence and attention to detail, I always see her as being the director of a hospital or something, but obviously you need to work your way up through actually being a practicing physician. Maybe pediatrician? Semi-relevant, but in the live action series her mother is a surgeon (this comes up in Act 33). Not sure I could see Ami doing that, though! I could. After all, in the Special Act of the live action she was one, and on her way to the operating room when she was called back to Japan. I see Ami more in the area of developing new cures and procedures. Then merely just handing out prescriptions. Oddly I’m reminded of one of the sound dramas where she developed a device to read Mamoru’s heart/subconscious. It led to some ‘interesting’ revelations, although played strictly for humour. Ah, the audio dramas! They exist in a really bizarre place in this Sailor Moon series (though I guess you could say that about most series) since they are something in between canon and not remotely canon. Its not really its own universe, but something of an addendum (spin-off?) to the anime, probably. But seeing as it does add a lot to the characterization of the characters that the anime sometimes glossed over, I’d like to consider them fair game in the Sailor Moon anime canon. To be fair, I guess you could make the same argument about the movies, too. They happen “out of band” so-to-speak. Though I know that Ami’s always aimed to be a doctor, wants to be a doctor, and even becomes a doctor… I really think she’d make a great inventor. It seems to suit her personality much better. Something of a Jeff (from Earthbound) or even good ol’ Billy (from old Mighty Morphin Power Rangers fame) sort. She needs to make a time machine. Not sure she’ll be able to make a time machine. Not with Setsuna around. Developing new cures, on the other hand… I can imagine the awarding of the next Nobel prizes. If they were smart, they’d eventually just rename it to the “Mizuno Prize” so that way they could have her make all the speeches to the recipients and get around the fact that the girl-genius is winning every single year. They can’t, it’s still Nobel’s estate that pays for it. Well then, I guess the world will just have to get used to Ami winning in several categories every single year! And speaking of talents and prizes, I do kind of wish that the anime did more with Rei’s musical talent, which they explored in the original season and Sailor Moon R. I can’t recall that ever really coming up again after that, though. It’s too bad, too, since I rather like the idea of her writing songs and performing. My guess is they dropped that aspect of her hobbies because it might have seemed to similar to Minako’s own aspirations to be an idol. Pity, as I would have liked to have seen a collaboration between them at some point. Aah, you’re probably right there. They played up the Minako wanting to be an idol card quite a bit, so I guess they felt it’d be like a “me too!” kind of thing with Rei. That’s too bad, though, since it seems like she was more interested in actually writing the music and not so much into the performing/dancing/singing routine. By a strange coincidence, I just rewatched that particular episode last night. Still a failsafe opportunity for saying ‘Awwww… how cute!’ Or ‘Moeeee’ when they show her sad baby-blue puppy eyes drooping down even more into an open frown at extreme close-up. Though I absolutely love Ami’s character, it still would have been awesome to have her leave the show for a few episodes and cut back to what she’s up to in Germany, maybe before she has to come back and save her friends.